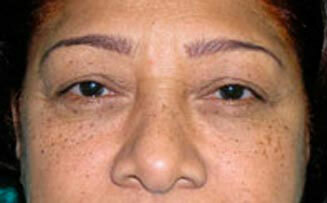 Dropping of the eyebrows is a common issue in upper eyelid aging. 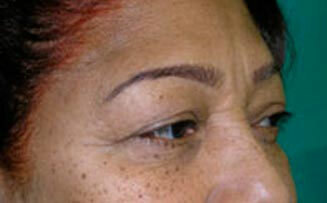 This causes the upper eye skin to fall as well, and extra eyelid skin results. 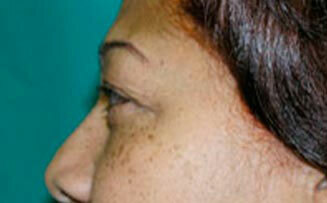 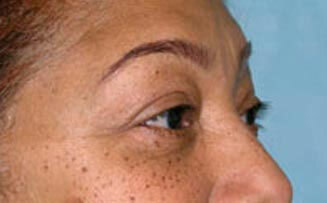 In some patients, an upper blepharoplasty alone will be enough. 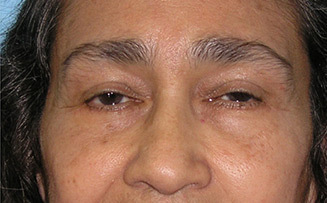 In other patients, an endoscopic brow lift is required to fully correct the problem. 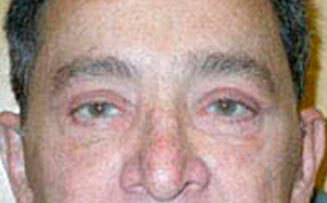 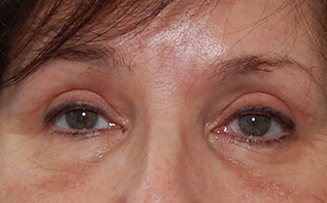 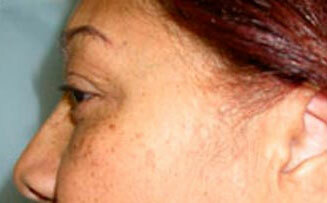 A lower eye lift was also done, tightening the muscle and removing extra skin and fat. 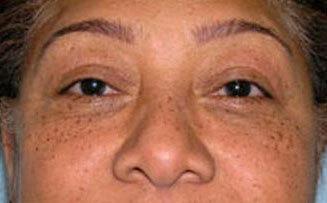 The overall look is a well balanced eye region, which does not stand out and look ‘operated’.